"When you're curious, you find lots of interesting things to do." ~ Walt Disney. After a decade of planning Disney getaways for fun and on the fly, my enthusiastic journey to take memorable vacations has turned into a passionate quest to make dream vacations a reality for others! My goal as your concierge travel specialist is to provide you with a unique, one-on-one travel planning experience, and to design a vacation tailored to your wishes. I am your one-stop shop! Read more from my Walt Disney World ~ Nostalgic Escape bio. It's time to set sail and say good bye to the daily grind! Let the Disney magic sweep you off your tired feet into a world of "I'll take care of that for you." Read more from my Disney Cruise Line ~ Ship to Shore bio. Disneyland is a pilgrimage home, where nostalgia and hope are felt in every railroad tie, rose bush, and park bench. Walt walked here. Walt dined here. Walt dreamed here. Read more from my Disneyland Resort ~ Where it All Began bio. So you've done the whole theme park thing down the road and you're looking to add a little spice to your family vacation. There's a recipe for that and it rhymes with "traversal expando." Read more from my Universal Orlando Resort ~ the Next Step bio. Read more from my Japan ~ The Land of the Rising Sun bio. Jamaica - No problem mon! Read more from my Jamaica - No problem mon! bio. In early May 2018, the Disney Parks Blog posted an article about a fascinating magical makeover for adults visiting Walt Disney World: the Character Couture experience. However, the only information anyone could seem to get their hands on was just that Disney Parks media...Read more. Our best trip so far! When I asked Sara to plan our Disney cruise to the Bahamas including a stay at Walt Disney World and a day trip to the Kennedy Space Center, I could not have imagined how invaluable her help would be or just how far she would go to make sure every detail was perfect. Sara took care of everything including securing outside transportation and making sure that I could travel comfortably as a person with a mobility disability. Sara even texted me during the trip to make sure things were going well, and when my son lost his Magic Band, she immediately canceled it online and told me how to get a new one. Her extensive expertise is impressive, and her friendly and attentive manner is much appreciated. I will never again plan a Disney trip without Sara, and we have already booked our next trip through her. Thank you from the bottom of my heart for allowing me to be a part of your journey! Your family is truly incredible and I'm honored to still be playing a role in your future Disney vacations. Cheers!! Where to begin!? Our first trip with Sara was an impromptu Disney trip and she handled it like it was being planned for months! She gave us packets will all of our necessary information and even a little goody bag with travel essentials. We had a few surprises waiting for us when we arrived like a Star Wars dessert party and the photo pass! For our most recent trip, she planned our honeymoon. She sat down with us and helped us decide the best location based on what we wanted. We settled on Sandals Regency La Toc in St. Lucia. 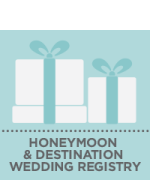 She set us up with a honeymoon registry that allowed people to gift us excursions and Sara then scheduled them for us. Even while we were away, we were able to stay in contact with her. She was around all hours and would answer any questions for us and she made sure we were where we were supposed to be. I know traveling can be stressful, but with Sara, I had peace of mind. She always goes the extra mile and that's what makes her the best! You two are one of the most adventurous couples I know and I'm honored to have had the opportunity to assist you with your travel needs! Here's to many more adventures on the horizon...CHEERS!! Sara took care of every detail of our cruise. Although cruising is typically one stop shop, we had lots of questions and Sara helped answer all of them. She was thorough in her research and answered questions I didn't even think to ask. Since it was our first cruise with kids, she made sure to analyze everything with kids in mind. She was on standby when our journey began to help us reconfigure our transportation (being a military family, things on our end didn't work out as we hoped). Sara was confident in all airline policies and was sure to explain everything in detail prior to booking/changing flights. Once aboard we had surprises waiting for us in our room, how thoughtful she was to add that special something to kick off our family cruise and make our experience that much more magical. Even during our vacation she was readily available in case I had any other questions or concerns. I loved the quick reference guide we received prior to departing, lots of great info! Thanks Sara! Thank you for such kind words! As you know, I leave no detail unnoticed and like to treat my guests as if they were my own family...which you are :) I am profoundly grateful that you allowed me to be a part of your journey and am looking forward to helping you plan vacations in the near future! Had a great time in Disney! Sara was great! Sara planned our Disney vacation down to the smallest detail, including the big reveal! I couldn’t have asked for a better trip. She made our trip so enjoyable and easy. She was available whenever we had a question. And we had many! Her experience was evident and appreciated. She was a pleasure to work with and would definitely work with her again. I absolutely LOVE surprise trips and yours was so fun to put together! From the initial planning conversations to allowing me feel as though I was right there with you in Walt Disney World was a complete honor. I look forward to assisting your family again for any and all of your travel needs! Thank you!!! Cannot say enough good things about Sara and the services she provides! We were so impressed with her organization, communication, and planning skills that when we decided to plan a second trip to Disney we knew we wanted her help in planning the trip again! Always willing to help us with anything we need or have questions about and thinks of EVERYTHING! So very pleased with her services and have told anyone we know planning a trip to Disney (and beyond!) that they need to call Sara! She's the best! Thank you so much, Erin! I truly am always honored to plan any trip for your family!!! You are an amazing family!